Not sure how this one slipped by me but FFG is now offering a new "product line" the print on demand products. You can find the information on it at their website. This line from the article. 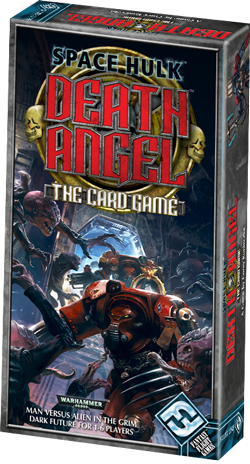 The two expansions already available are for the Space Hulk Death Angle card game which I for one did not like at all. The cynic in me sees this as a way to get more cash (which it is) for products FFG expected to be big but where busts. However the glass half full person is hoping that this will lead to expansions for games that deserve them like RuneWars and Star Craft. How these exactly work I don't know and I won't be spending the reasonable $4.95 to find out either because I dislike the card game so much. So if anyone has any input leave us some comments.